It was rainy and chilly on Friday night, so I knew I wanted to wear my waterproof boots for dinner. I paired them with a knit navy dress and leggings. 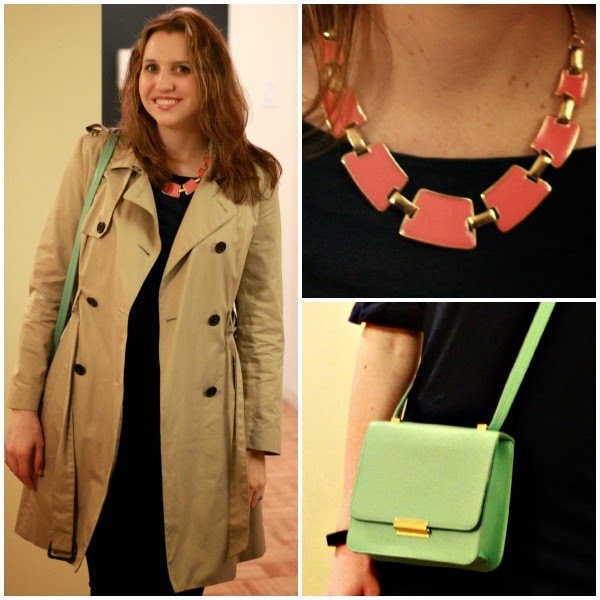 I wanted to pull in some spring colors in so I wore my new coral necklace and mint bag. Easy weekend look! Linking up with Fizz and Frosting, The Cream to My Coffee, On the Daily Express, More Pieces of Me, The Style Record, DC in Style, Still Being Molly, Lipgloss and Crayons, and Healthy Diva Eats. 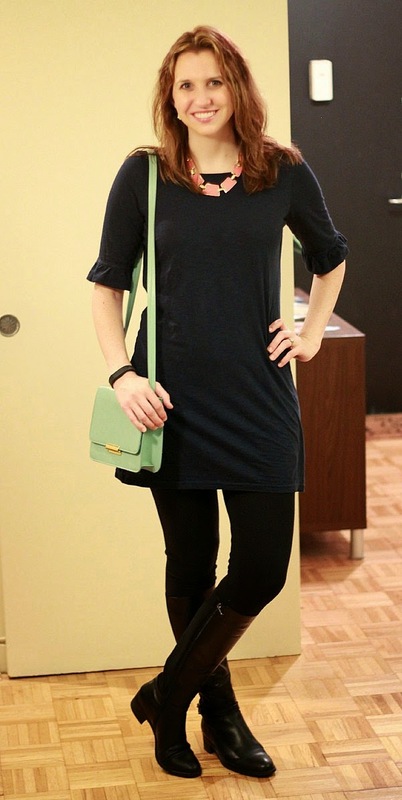 always love a pop of color against black... you look so chic! Love the coral necklace--it looks so great against the navy :) And I love that the boots are not only cute but functional against the rain! love your accessories Katie! the necklace is amazing! Hi Katie. I have been following and reading for a while but totally haven't had time to comment. A woman always looks great in a LBD especially jazzed up by a pretty necklace. 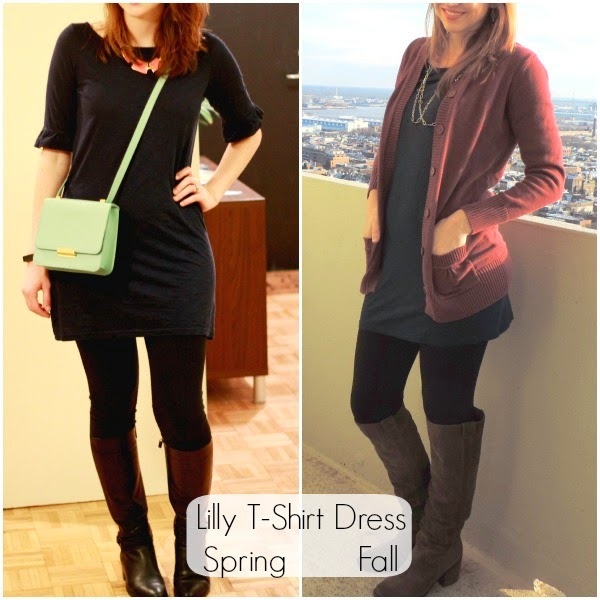 In my next post, I will be wearing a LBD. Thanks for following, Ada! LBDs really are great! That dress looks so comfortable and I love it with the boots. Love when you have a "blank canvas" piece like your dress and can use it year round by changing out the accessories like you've done here. Love the mint & coral accents you chose! Thanks for linking up to Manic Monday! I love this! Your dress is lovely, it looks great on you, and I love the pops of mint and coral.